Have you been thinking about putting your retirement plan together but don’t know where to start? Are you wondering how you can avoid the potentially devastating pitfalls of common everyday portfolios so that you DO NOT run out of money in retirement? Would you like to learn about a retirement planning approach that’s designed to be MORE reliable and secure than many one-size-fits-all philosophies? 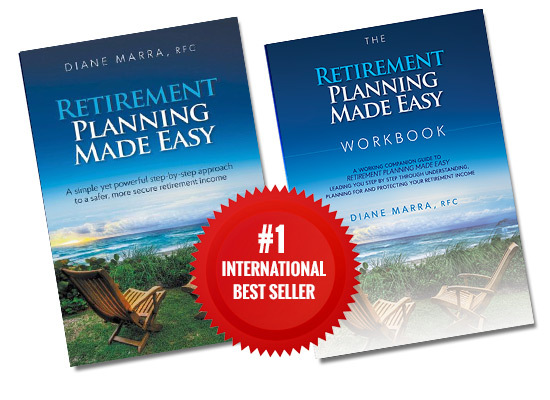 “Retirement Planning Made Easy”, along with it’s corresponding action-oriented workbook will not only educate you, but will also help you prepare and set up a plan to safely design and manage your retirement income. This book, along with the action-oriented (fillable) workbook is an investment in your retirement income’s future. It will empower you to make wiser decisions about your retirement portfolio from a more informed position. Buy Retirement Planning Made Easy, Now!